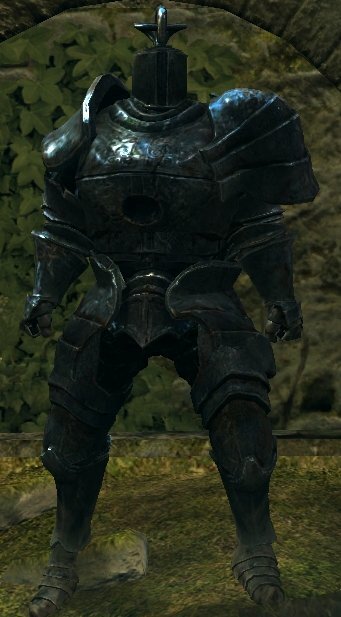 Armor of the Iron Golem, guardian of the ancient Sen's Fortress, slayer of heroes who ventured forth to Anor Londo. Without it's core, it is a mere hunk of iron, and can be equipped as solid protective gear, but its immense weight hinders stamina recovery. Sold by Domhnall of Zena after the Iron Golem boss fight in Sen's Fortress. Domhnall of Zena should have relocated to the Firelink Shrine. He is under the aqueduct that leads towards the Undead Burg.